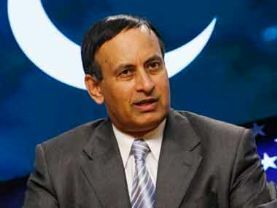 The Memo Commission has summoned, second and final time, Hussain Haqqani on next hearing scheduled for April 26, reported on Thursday. Justice Qazi Faiz Issa led Judicial Memo Commission resumed hearing at Islamabad High Court this day. The Memo Commission rejected Hussain Haqani’s plea for postponement of hearing and issued summon for appearing before the commission on next hearing. The commission instructed that complete details of Hussain Haaqni’s properties should be also provided on April 26. During hearing, the Memo Commission expressed its displeasure to the DG American Desk, when he failed to reply a question regarding missing mobile phones of Hussain Haqqani. Hussain Haqqani’s counsel, Zahid Bukhari informed the commission that his client has written letter of withdrawing secrecy rights to Black Berry Company. The commission demanded more details of the correspondence between BlackBerry and Hussain Haqqani. Zahid Bukhari added that Hussain Haqqani is sick so his statement shall be taken via video link or the commission should wait till Supreme Court’s verdict; the commission rejected it. The Memo Commission expressed displeasure over Aasma Jahangir’s statement and demanded the Pakistan Bar Council (PBC) to take notice of that.